Microsoft has been taking some pretty good body blows from Apple over the past couple of years. These have primarily been in the form of the PC/Mac ads and are not entirely undeserved. Vista is a pretty good product but pretty good is clearly not good enough. Well, Microsoft just landed a right hook to the jaw of OS/X. It’s on now! It’s really quite incredible how much work Microsoft has done on Windows during the lifetime of Apple OS/X. OS/X 10.0 was released in 2001, the same year Windows XP was released. For the most part OS/X has not changed since then. Sure, you have new features like Time Machine but the user experience has really not changed much and neither have most of the features. The same is not true for Windows. In that same timeframe Microsoft has put out major service packs for XP, created a new server product named Windows Server 2003, and then created the Vista line of products (Vista, Windows Server 2008, etc). Vista was supposed to be a moon shot but instead Microsoft got so caught up in completely rebuilding the rocket that it never really got off the pad. With the shiny new Vista rocket sitting idle on the pad it wasn’t too hard for OS/X to look good and Apple to gain some market share. And then in comes Steven Sinofsky to lead the Windows guys. Now I’m not going to lay all the credit on him. I’m sure Jim Allchin deserves a lot of credit for building a solid foundation in Vista but it’s clear that the changes in development models that Sinofsky brought over from the Office team have made a huge difference not only in developer morale but in product quality. I have yet to read any reviews of the Windows 7 pre-beta that didn’t describe it as fast, stable, and “what Vista should have been”. So what are some of the features or enhancements in 7 that are going to make the difference? I’m glad you asked. Here are the features that I think will make 7 the must have OS for 2009. This is not nearly a complete list of features however. Speed, speed, and more speed. The Windows team has spent a lot of time optimizing the product, reducing it’s memory footprint, and speeding up boot time. There is evidence that 7 runs great on netbooks, unlike Vista. Also, some early reviews have reported an install time of 15 minutes compared to Vista’s 45 minutes on the same hardware. That same review showed 7 booting is much lower time than Vista. Apparently resume is nearly instantaneous and, unlike OS/X, the network is available immediately upon resume. Device Stage. This feature is actually not getting a lot of attention but I think it will be the killer feature of 7. In essence it is area where device manufacturers can plug in to 7 and display a management page for their particular device. So a user could plug in a cell phone, see it appear in device stage, and then click on it to bring up the manufacturers UI for that device. This UI could contain links to online manuals, launchers for SMS message reading, sync settings, whatever. This is device specific. A printer could show ink tank levels, provide UI for maintenance, a button for ordering supplies, etc. This is huge. Count on it. HomeGroups. This is networking except easier. This only works with Windows 7 pcs but when multiple Windows 7 computers are put on a single network they will connect to form a HomeGroup and then allow seamless sharing of the content on each computer with the others. You get a PIN code for the home group so that when a visitor comes over with her laptop running 7 she is prompted to join the home group as soon as she gets on the network. Enter the PIN code and she can share any of the media that you have made publicly available and print to any printers (use any device for that matter) that are publicly available without any concern or question about which computer she is connecting to. It’s all seamless. Just that way it should be. New Windows Taskbar and Jumplists. The new task bar has many new features like tab previewing, reordering, blah, blah, blah. But the coolest new feature is called jumplists. These are popup menus that appear when you click on the app icon. These are customizable by the application and it will save clicks. Want to edit the Word doc you were working on last night. Just click on the word icon and the most recently edited files list appears in the jumplist. Pick your doc and it opens right up. Clicks saved! Touch support. It’s all about the touch these days. From IPhones to G1s, it’s all about touch. And Windows 7 is ready to be touched. oh baby. Pair Windows 7 with any of the already shipping touch screen computers like the HP TouchSmart and you have a fully touch enabled system. You can drag, flick, and stroke your away around the desktop. Hmm, that sounds just creepy now. Just trust me, it’s cool. You’ll love it. With the solid Vista foundation and the excellent feature work in 7, this is the Windows you have been waiting for. Dell and other companies are starting to make laptops that really compete with Apple. Dell and HP both have lappies that have battery lives of at least 19 hours (wow!) and Dell is starting to offer backlit keyboards on it’s computers. OS/X is a nice operating system but with 7 coming at breakneck speed, nice is not going to be enough. Oh yeah, it’s on now. am I the last to figure this out? In my role with Sun I do quite a bit with the Visual Studio SDK. 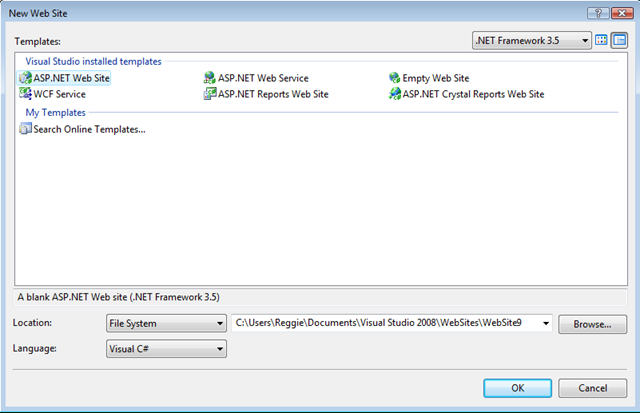 I develop our ADO.NET provider and the integration code that allows the provider to work inside of Visual Studio. We support VS 2005 and 2008 with a single binary and, up until now, I’ve used the VS 2005 SDK. But I’ve had this nagging feeling that I should be able to use the 2008 SDK and the new VSCT format for producing the CTO files. After some research I discovered that VS 2008 ships with some binding redirects that allows it to use binaries built with the 2005 SDK. Of course you can always count on Microsoft to make this as hard as possible. They could keep in mind that out here in the real world we have to support older VS versions and ship the SDK with all necessary tools and assemblies. But this is Microsoft we are talking about so the regpkg tool that ships with the SDK and helps with assembly registration is tightly bound to the SDK version. But the stupidity doesn’t end there. With some hacking you can get around the regpkg issue (and you can’t ship that tool anyway) but they don’t provide attributes to handle all the registration tasks that are necessary. Need to register your assembly as a DDEX data provider? Out of luck. Need to specify the technology parameter so your DDEX provider works with the proper wizards? Out of luck. So, I don’t really give a flip about regpkg and the attributes. With all that said, I tested building an integration project with the 2008 SDK after making the following changes. The resources worked great originating as VSCT files. In any case, while was otherwise occupied (attending the Sun DBTG developers conference in Riga, Latvia) something happened to my server and I came home to my files not working. They were there but any attempt to open them would give some obscure error about the system not being able to access it. Clearly this had something to do with the “special” load balancing driver that WHS uses. In any case it appeared my music and blog was toast. Earlier today I learned that WHS maintains another link to your shared folders. I enabled viewing the protected folders and saw a folder named “DE” on c:\. Peeking there shows the same shared folder directory structure only these work! Clearly these are sym links as c:\ is only as 20 gig partition but it was showing nearly 80 gig of data in this folder. I quickly copied these off to a new machine and rebuilt my WHS server. Blog restored! Lesson learned? Get a second hard drive in your WHS machine so the folder duplication junk can do its thing! 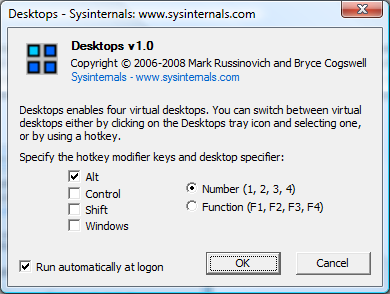 Like most Windows devs I really like the Sysinternals family of products. So when I caught wind this morning of a new product called Desktops that creates a virtual workspace of up to 4 desktops I just knew it was the product I was looking for. Well, it sort of is. You can't ask for an easier installation. Unzip it and drop it on a folder and run it. In the dialog that appears you can select whether to run it at startup. Here's a shot of that dialog. It has a nice selection of options to select which desktop you are using but sadly it doesn't support the most important one -- the arrow keys! Someone who is using virtual desktop software is enough of a power user that they will want to switch desktops on-the-fly without looking at the keyboard. Sure I can whack a number key without looking but the T-shape arrow keypad just fits with the metaphor a bit better. A simple Ctrl+Shift+Arrow would do the trick. The other problem is the speed. It's a bit slow and has no nice swipes or transitions but it is free software so I'm really not griping about that too much. All in all a welcome bit of software. Thanks Mark! MySQL Connector/Net 5.1.7 a new version of the all-managed .NET driver for MySQL has been released. This is a minor release involving mainly bug fixes. MySQL Connector/Net 5.2.3, a new version of the all-managed .NET driver for MySQL has been released. This release is of GA quality and is suitable for use in production environments. We strongly urge you to review the change log that is shipped with the product for a thorough review of the changes. Version 5.2.3 works with all versions of MySQL including MySQL-4.1, MySQL-5.0, MySQL-5.1 beta or the MySQL-6.0 Falcon "Preview". I recently setup one of my old machines using Windows Home Server and thought it would be nice to run my blog on it instead of GoDaddy. The obvious approach was to use the terrific Whiist add-in and that's exactly what I did at first. I encountered the first problem when setting up the web site because my site had to be a subsite under the main site. I didn't really want my site to be found at xxxx.homeserver.com/reggie so I started playing with domain forwarding and masking at GoDaddy. With the help of their fine support I managed to get www.reggieburnett.com redirected to my sub-web but none of the sub-links worked (photos, archives, etc). Plus I didn't really like the CNAME redirect. And finally redirected the default site under IIS properties to point to my blog folder. The /home and /remote subwebs are still there and point to the correct place. Now you can go to www.reggieburnett.com and land on my self-hosted blog and I can also reach the WHS goodies through subweb URLs. He was seeing 34,529 records / second using libmysql.dll but only about 24,000 records / second using Connector/Net. He understandably wanted to know why there was such a difference and if we could do something about it. Absolutely! We solved this problem through a combination of optimizations made to our code and some changes made to the testing application. I won't say much about the optimizations. We made some obvious changes like moving a lot more of the prepared statement work to the prepare phase and out of the execute phase. We also discovered that BitConverter.ToBytes() is a lot slower than our hand-coded methods for reading and writing integer values. We replaced usages of ArrayList with generic equivalents (it's pretty amazing how much faster generics are actually). One of the bigger changes we made was to use a second hash for parameter name lookups. When you are talking about loops with lots of iterations even the smallest inefficiencies can kill you. Since .NET supports name lookup for parameters we use a hashtable to map parameter names to indices (we made this change when one of our customer was complaining that parameter lookup was slow on one of his commands that had > 30,000 parameters. Yeah.). Name lookup should be case-insensitive so we use a case-insensitive comparer with our hashtable. So the optimization we made this time is to use two hash tables. The first is case sensitive and is checked first. If that fails then we check the second and return failure only if both fail. That's what we did in our code. We also made some changes to the testing app to make sure the comparison is truly apples to apples. Let's first look at the loop code in each case. Don't get hung up on the output of these being slightly different. The point here is that the C code is using simple pointer arithmetic during each loop where the C# code is doing array lookup. The array lookup code is quite a bit slower because the get accessor for the parameter collection does some bounds checking so that a nicer exception will be thrown in the event of an out-of-bounds index. Another change that was made to the testing app was to disable the command timeout in the C# code. This is a small point but when the command timeout is greater than zero then a timer is constructed and started during each execution. In this case that is 600,000 timers! Again, since the C code doesn't provide any type of command timeout it's not a true apples-to-apples comparison. So, in a nutshell, benchmarking against libmysql is sort of like racing a jet engine. Very fast but not a great deal of "safety features". Still, after many hours with dotTrace the results speak for themselves. C app = 35,294 records per second. C# app = 35,321 records per second. We ship a DDEX provider with Connector/Net. This provider plugs into Visual Studio and integrates into server explorer allowing a user to create data connections to MySQL from within the IDE. This integration is handled, in large part, by a lengthy series of registry entries. Until 5.2.2, these entries were made by my installer which is written in WiX. Having the registry changes made in the installer has two problems. First, I often need to register the provider during debugging and I don't want to do a full install of the product so I end up hand editing a registry file and manually merging that file. This a awkward at best. Second I plan to ship a stand-alone configuration utility in 5.3 that will allow the user to configure which installed version of Connector/Net should be used for VS integration. Currently you can only have one instance installed at a time. My approach to solving this was to write an installer class that made the registry changes for me and just use installutil to register the assembly. I was already doing this with my core and web assemblies so this is nothing new. The problem is that installutil will scan the assembly and all referenced assemblies for types looking for installer classes. This fails when some of the Microsoft assemblies are scanned. After much effort I gave up and decided to write my own installutil that I would ship with my installer. I had no trouble creating this application and then set about executing it from within my installer. I attempted to use the CAQuietExec custom action available with WiX v3 but just couldn't make it work right. So I gave up and decided to write my own execute custom action. So I cracked open Visual Studio 2008 and read a couple of blogs about custom action writing. One of them mentioned mixing managed and unmanaged code, the unmanaged code being necessary for the proper DLL exports. I decided I had to see this work. Yes, that is managed code and unmanaged code *in the same function*! Now this code might not compile as it is not what I wound up using and I just grabbed it out of an old folder but you get the idea (and yes I did test a version of this so I know the concept works). I didn't use this approach because the /clr switch requires the dynamic CRT and I didn't feel like bundling that up. And, in case you were wondering about the "boo" messagebox on line 3, that is my debugging trap. You run the installer until that pops up, attach to the proper msiexec using Visual Studio, set a break point, and go. Yup, that's cool. MySQL Connector/Net 5.1.6 a new version of the all-managed .NET driver for MySQL has been released. This is a minor release involving mainly bug fixes. Version 5.1.6 works with all versions of MySQL including MySQL-4.1, MySQL-5.0, MySQL-5.1 beta or the MySQL-6.0 Falcon "Preview". MySQL Connector/Net 5.2.2, a new version of the all-managed .NET driver for MySQL has been released. This release is a beta and may contain bugs with some of them possibly being severe. You are strongly urged to not use this release in production environments. This release is intended only for testing and feedback purposes. Version 5.2.2 works with all versions of MySQL including MySQL-4.1, MySQL-5.0, MySQL-5.1 beta or the MySQL-6.0 Falcon "Preview". The procedure parameters schema collection has been altered to match what is coming with MySQL 6.0. Some fields have been removed and others combined. Please review your application for incompatibilities. Fixed profile provider that would throw an exception if you were updating a profile that already existed. Fixed problem in datagrid code related to creating a new table. This problem may have been introduced with .NET 2.0 SP1. Fixed bug with the membership provider where the min non alpha numeric option was not working correctly. MySQL Connector/Net 5.0.9, a new version of the all-managed .NET driver for MySQL has been released. This release is an update to the existing production-quality 5.0 series. We plan for this to be the last release in the 5.0 series. We will only be updating the 5.0 product in the event a "data-loss" type bug is discovered. We encourage all new products to use the new 5.1 product. Version 5.0.9 works with all versions of MySQL including MySQL-4.1, MySQL-5.0, MySQL-5.1 beta or the MySQL-6.0 Alpha. I was so looking forward to hanging out in Santa Clara this week with all the fine people that come to see my .NET and Windows presentations (yes, both of you!) at the annual MySQL Users Conference. The problem is that I hurt my knee Saturday evening and now I can barely walk. So I decided it was better for me to stay home and try to stay off the knee as much as I can. Sorry for those people who were planning on attending my building and debugging on Windows session however the entity framework session should still happen with the ever-capable David Sceppa at the helm. Recently I've read lots of forum posts from frustrated users claiming that their is something wrong with the Connector/Net installer. They reference the connector in their web app, then deploy the app to their remote host only to find that the app no longer works. I'll walk through a simple web app sample and show where the confusion comes from and what they should be doing instead. This sample assumes you have a recent build of Connector/Net installed with Visual Studio integration enabled. First, we'll create a web app using Visual Studio 2008. The next thing that many developers do is create some type of page that references the connector. Often this is a SqlDataSource that they will be connecting to a datagrid. To do that you drop a SqlDataSource control and a GridView control on the page. 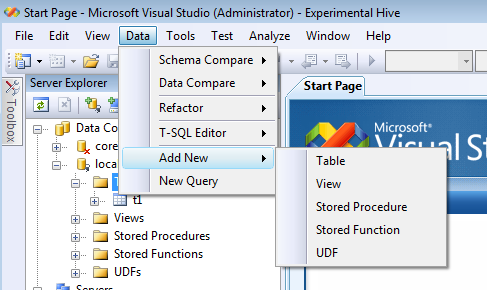 After setting the grid view to use the sql data source you now need to configure the data source control. Normally to do that you would select 'Configure Data Source...' from the smart tasks popup and walk through adding a data connection to your app (as well as Server Explorer). Due to a bug in our implementation currently you need to add the connection to Server Explorer first and then pick that connection in the Configure Data Source dialog. Once done with this you can find the new connection string in your web.config and see how the data source control is tied to it. Here is the connection string added to my web.config. Here is how my SqlDataSource is configured now. What's going on? The first thing to understand is how the SqlDataSource connects to a data provider. If you refer back to our connection string you'll see the attribute providerName have the value 'MySql.Data.MySqlClient'. That is the invariant name of Connector/Net. However this name is not enough to locate the right assembly to load. This mapping is done in either the machine.config or web.config files. The Connector/Net installer makes the proper registrations in the machine.config file. Here is the DbProviderFactories section from my machine.config (I've omitted all entries but Connector/Net for brevity). With this entry in machine.config then the system can match the invariant name to a fully qualified assembly name and also identify the client factory class that should be used. You can see that by examining the type attribute above. So why the <clear/> tag? You can't doubly add provider factories to the config system so if you have Connector/Net installed on your dev system and you register the provider factory in your web.config then you will be doubly adding them. The clear tag clears out all the provider factories pulled in from machine.config and then adds in yours. Now if you are mixing providers then you'll need to adjust this to your situation. I hope this blog post has cleared up some of the reasons why people have working web apps on their dev systems but then are confused when it doesn't work after deploy. Finally got around to hacking in Slide.Show as my photo viewer. Yup, you need Silverlight installed to see them but with the way that Silverlight is growing that shouldn't be a problem. It's no secret that that SQL Server integrates better into Visual Studio than any other database. We are trying to change that. Two of the things that I wanted to implement in the new version of our integration code is to replicate the Add New submenu and use the the built-in table browsers that Sql Server uses. Here is a screen shot of the global data menu we wanted to reproduce. 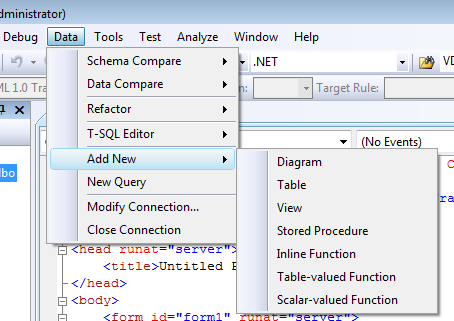 This menu should also work in Visual Studio 2005 though the top four items (Schema Compare, Data Compare, Refactor, and T-SQL Editor) won't be there. The problem is that adding items to the global data menu is not directly supported in Visual Studio 2005 but it is supported in 2008. This is further complicated due to the fact that Microsoft moved from using CTC files to VSCT files to define package resources. I didn't want to ship two binaries (one for 2005 and one for 2008) so I have continued to use the CTC format. Here is what I had to do to get it working. Then I defined two menus and two groups (one for 2005 and one for 2008). Note here that 8706 is the id of the global data menu in VS 2005 and IDG_DV_GLOBAL1 is the id under VS 2008. menuAddNew2005, menuAddNew2008, groupAddNew2005, and groupAddNew2008 are just simple ids I assigned. The reason you need to define the menu twice is because no matter which version of VS you use it will balk at adding the same menu to two different top level groups. Then I define the commands I want to appear on the menus but I don't put them on the menus here since I need to put them on two different menus. Now we need to add our commands to our data view XML file. Here is what one command binding looks like. Notice the command parameter named "HighLevel". This is important because without it the menus will not function correctly in VS 2005. You also need to add all the commands into the command bindings of every node. Yes, this is very repetitious but is necessary due to a bug in VS 2005. Without doing that the menu will appear when the connection node is selected but will disappear when on the other nodes. I would also like to thank a developer at Microsoft who answered tons of my questions and helped me sort this out. His name is Stephen Provine and I really appreciate all his hard work. With all this done, here is the same shot working with MySQL.